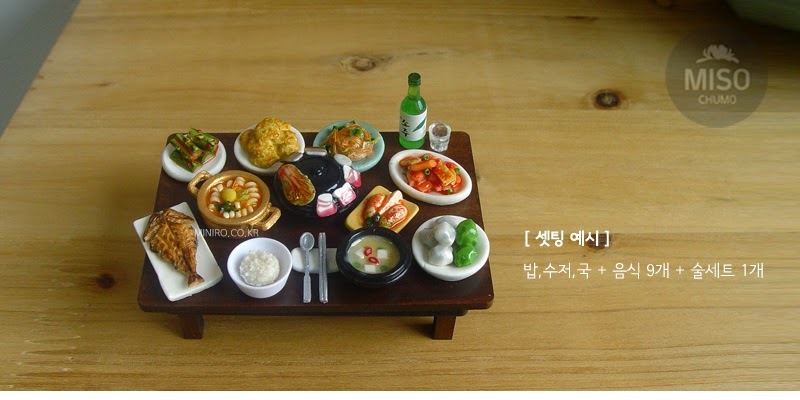 This is not actual or Life size Korean food! 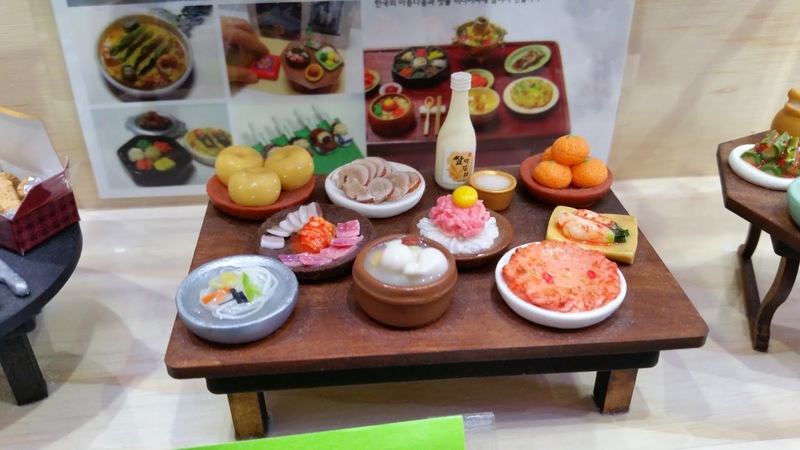 Recently I had a chance to look at some fun miniatures with a Korean Holiday Food and Life theme from a company called "Minoro". This was not the first time I saw something like this. 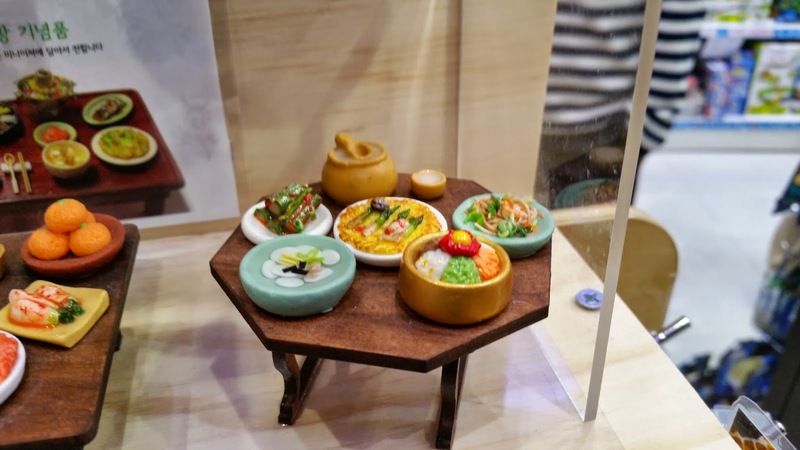 A few years ago, I started to see Japanese miniatures about their daily lives being imported to Korea. 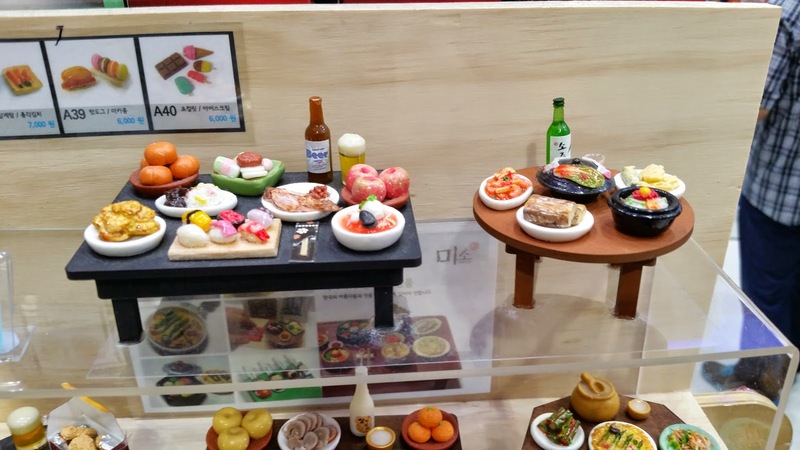 This time, I think Koreans grabbed that idea and ran with it. The result are pretty nice! 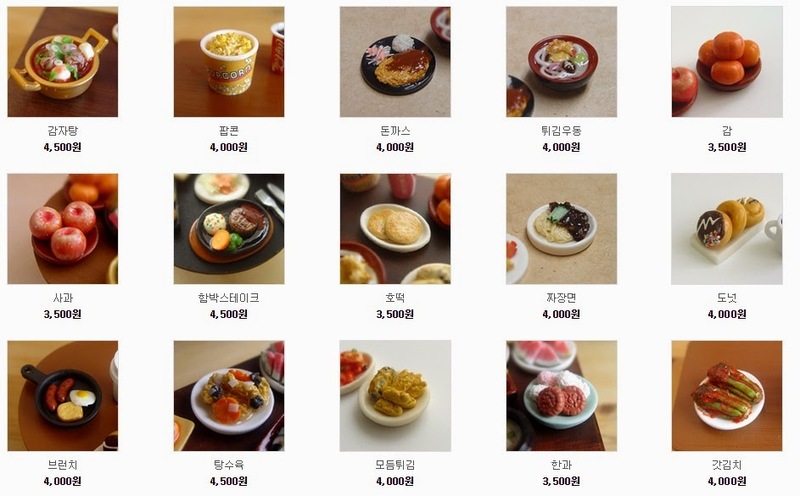 They are pretty cute and culturally interesting.In addition, according to the company, they are all hand crafted. 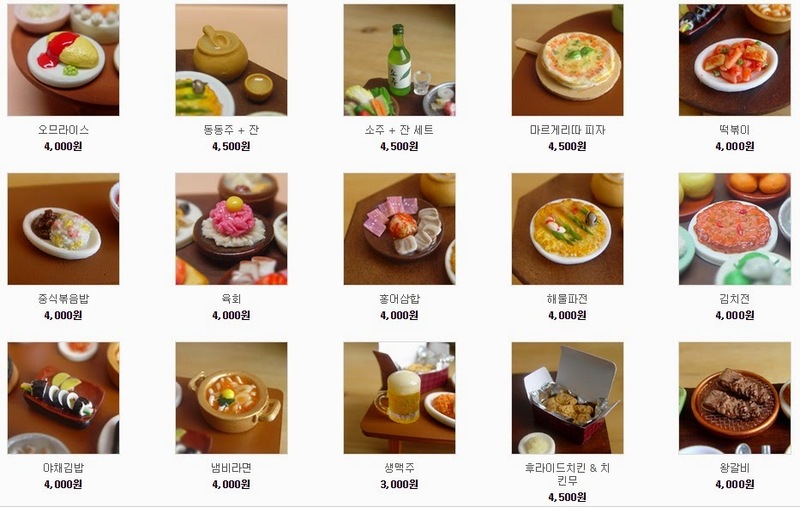 All this makes it a nice gift for the Korean culture fan. 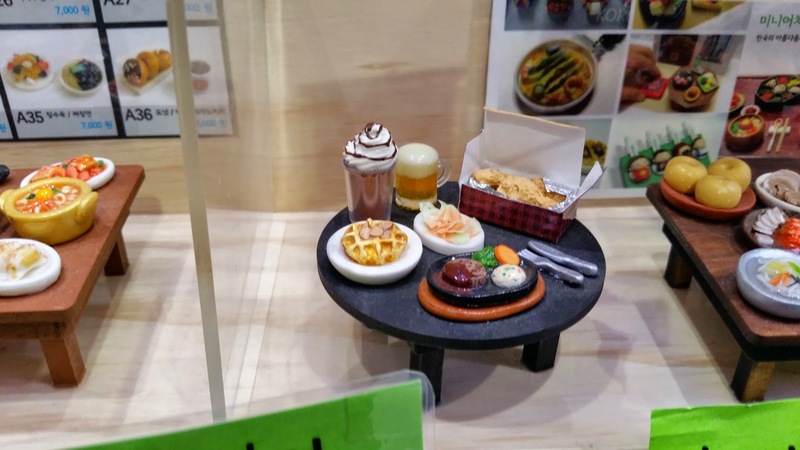 Here are some pictures I took from the retail shop. 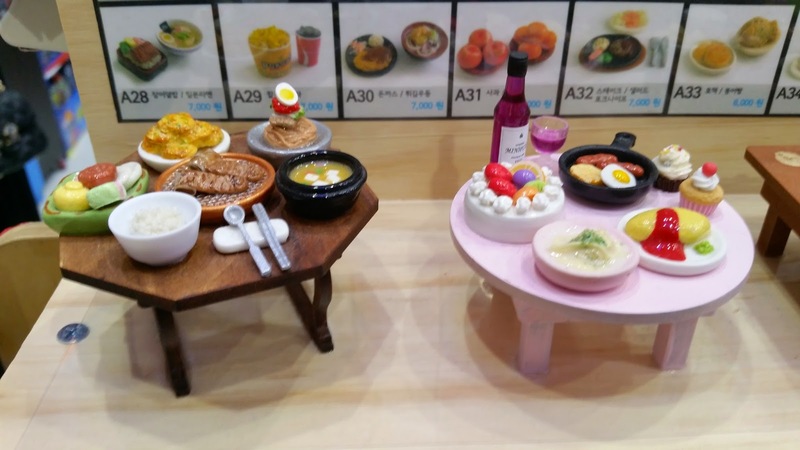 Every item here is sold ala carte but are displayed as food items on top of a Korean short sitting the floor tables which tend to be 8 models in total. I can always help purchasing stuff if you want it. Ack! This is too cute! 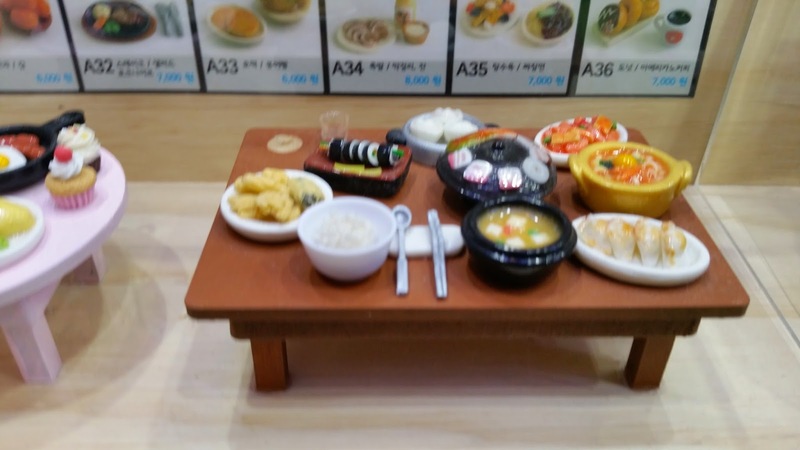 I was in Korea last week! Can't believe I missed it! I've got a bunch of hot pack dolls though. 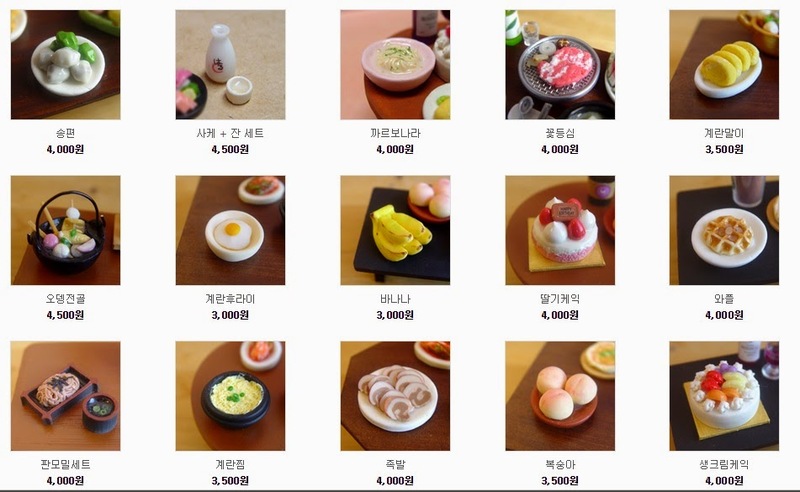 Do you need to buy the exact arrangement? 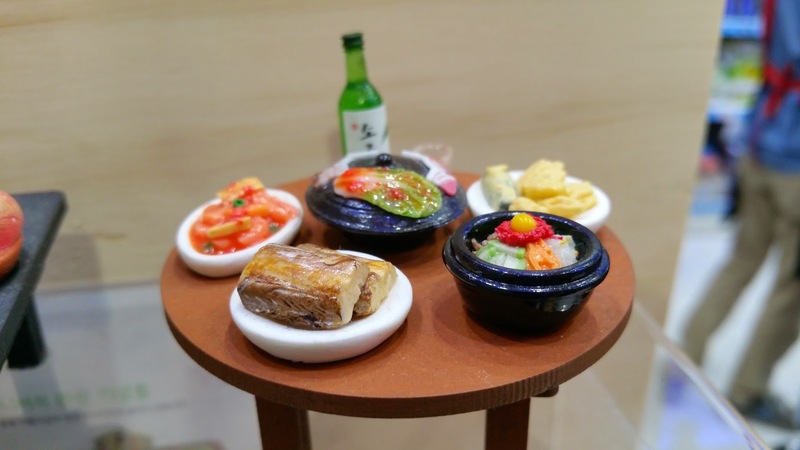 Or can you order a table style and mix and match the food you want to go with it?